Bumpershine: How many photos did you submit when you entered the contest? Were they professional photos or just candid shots? Shaina: Just one picture. It was a candid shot that I took myself. Bumpershine: Which photo was the one that got you to the finals? Shaina: We found out on Halloween [October 31, 2008], at about 4 pm, someone from ePrize called me. I actually thought it was a practical joke. 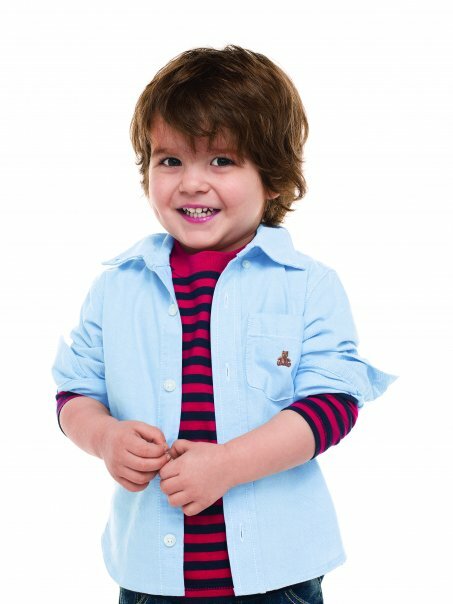 Bumpershine: Did your son have any modeling experience prior to entering the Gap contest? Shaina: No, he didn’t have any modeling experience. Bumpershine: Did you use any social media tools to promote your son in the contest after the nominations were made public? Not that I’m suggesting sour grapes on your part, but do you think better PR campaigns had anything to do with the kids who won last year? Shaina: We used facebook, we put flyers up at his school and our local Gap, our local paper ran a story about him and we were also on a local radio station. I’m not sure if more PR would have helped him win. Bumpershine: It looked like you formed some cross-promotional alliances with the parents of children in other categories, do you think that helped at all? Shaina: Perhaps… Kellen won in our category. Bumpershine: Can you tell us a little bit about the finalists photo shoot? Did you sense any feelings of competitiveness, or was everyone just happy to be there? Shaina: The photo shoot was a great experience, we had a “fitting” the first day, where they measured the clothes they had chosen for Sam and tailored them specifically for him. He also got a (great) haircut that day, and they shot a video of Sam and myself. The next day we went back for the photo shoot itself. The staff was amazing with him and all the families that we met were very friendly! Bumpershine: Has your son done any more modeling since the Gap contest? Does he have an agent? Bumpershine: Is there any advice you’d like to offer to people entering the contest this year? Do you think there a specific “Gap Look” they are looking for? Shaina: I did this totally on a whim, the children I met at the photo shoot were all beautiful, and did not fit any certain mold. Bumpershine: What’s the secret to winning to the whole thing? Thanks for your time Shaina! We apologize for any delays Casting Call entrants have experienced. The response and number of entrants to the Casting Call website has been very strong and as a result some site guests have experienced delays during the entry process. Our team is working to address technical issues related to the entry process and we expect all issues to be resolved shortly. Note that any delays will in no way hinder an entrant’s ability to participate in the contest. Yes, I know. It’s less than what I had hoped for as well. Why do some kids have over 3000 votes already, how do they do it? Thats what I would like to know. On girl has over 34,000 votes in a month. Im pretty sure that there are some sort of computer manipulating things going on there. But if anyone has an answer I would love to hear it. The website (to enter the pictures) seems to be soooooo slow! I have entered 3 pics though! The voting must also be experiencing “technical difficulties” as a handful of children are up to almost 10,000 votes (most are in the hundreds) while I have watched people register and vote for my boys and the votes didn’t even show up… A little frustrating? From what I am hearing, plenty of parents are feeling pretty disheartened by this experience with GAP and Disney – there is clearly ‘unfair’ play here. 10,000 votes, really? last i checked there are kids with over 25,000 votes!!! this is rediculous! In my opinion, Gap offering a contest like this is a wonderful opportunity for 20 children, one that they should remember for the rest of their lives. In addition, Gap and their sponsors chose the top 20. I say give them a break, and some praise for even doing this or they may decide later not to. Partners with Disney Family was a great idea. One thing I love about the Gap commericals is that the models look natural. Maybe Dove would be a great sponsor next year, they have a wonderful campain for being beautiful the way you are and loving yourself. Born to me in Gap Jeans…just a thought. I have no idea how some entries already have thousands of votes! The site runs very slowly that registering to vote is becoming a hassel to family members that I have asked to participate and vote. To my knowledge.. Gap decides a winner and the voting is just for FAN FAVORITE, correct? It’s like a consolation prize? Correct me if I’m wrong. =) good luck to everyone! I cannot even find a place where people are supposed to vote!!! They sent me an email saying I could post some link on Facebook, etc. but when anyone clicks there no voting button appears….. so frustrating! i entered my two girls (alas, beautiful 12-yr-old son is too old! ), and got their picture up without too much trouble. i have voted for them every day (slow, but it happens..however, i am very concerned about the fact that they do not appear in the picture gallery, ever. the pictures in the gallery appear to include a wide range of entries (some have heads cut off, etc. ), so i don’t know what the criteria are for inclusion in the gallery. i agree that it is great that GAP is having this contest. the kids are all beautiful; it’s so fun to see them. i just want to make sure that ALL photos are considered, not just the gallery ones. 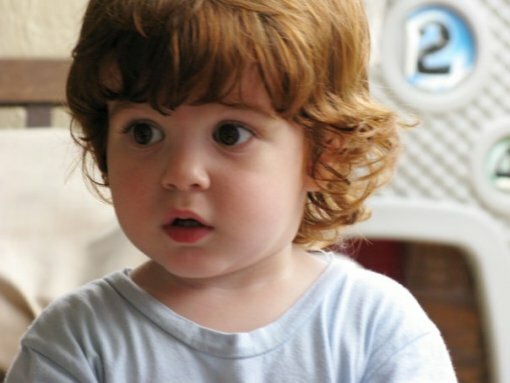 my son was a model when we lived in London (he was 8 months – 3 years) and we had a blast. the scene was not very stage-mothery at all. we just took polaroid-type shots, and he just hung out with other babies and played at the shoots. we never did it when we came back to the US, though, because i thought it would all be too Jon-Benet. maybe i’m wrong, though?